Manitowoc, Wisconsin- Dramm Corporation is proud to announce and welcome Fritz Dramm as the new Fertilizer Production and Compliance Manager. Fritz received his bachelor's degree at UW-Milwaukee School of Business Administration where he majored in Finance. He has over 20 years of experience in a management and production role. With his background, Fritz excels at maintaining great customer relationships and delivering quality products. Fritz previously worked at Dramm through his high school and college years. "After being away from Dramm for 20+ years, it is a special opportunity to return to the place that is close to my heart," said Fritz. "In high school I worked summers cutting grass, painting, and running for the mail. My college summers were supplemented by work in the factory and odd jobs around the plant." After graduating college, Fritz worked as part of the Equipment Sales and Support team. "After college I was fortunate to have the opportunity to work for Dramm with my grandmother Perdita, (Grammy Dt! ), and my brother, Andy," said Fritz. "Those many years ago I was able to learn about customer relationships, service to the customer, and the value of technical expertise. That experience helped me excel and gave me confidence as a professional in later years. It is nice to see so many familiar faces still at Dramm. I look forward to getting to know everyone at Dramm and forming relationships with our new and current customers." 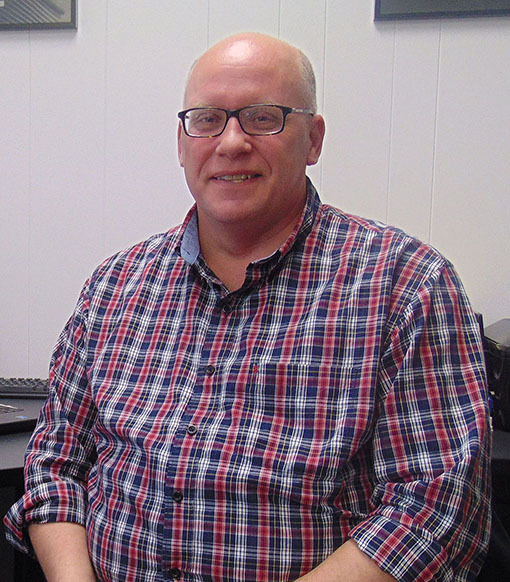 In his new position at Dramm, Fritz will be handling many different roles, including creating and maintaining fish scrap supplier relations, documenting standard operation procedures and assisting with plant equipment sourcing and upgrades at the Dramm Fish plant located in Algoma, WI. Fritz will assist with all matters of regulatory compliance including OMRI's certification. "We are very pleased that Fritz has returned to Dramm after a long hiatus," said CEO Hans Dramm. "His many years of experience in the manufacturing sector, creating process efficiencies and improvements, will greatly aid our fertilizer production efforts." Fritz and Hans Dramm are first cousins. "It is always nice working alongside family members and friends," said Hans. "Fritz is not only an immediate family member but his pleasant and fun demeanor will certainly add to the extended family dynamic we so carefully strive to foster at Dramm." You can contact Fritz by email at fdramm (at) dramm dot com or call him at (920) 645-6407.